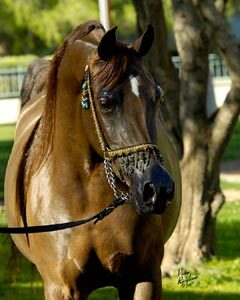 The horse is naturally, by right of birth and genetics, an elite athlete. Pound for pound, the horse is able to run faster and longer than any other domesticated species, including humans! In addition to speed and endurance, the horse has the gift of natural athletic grace. To our great delight, horses seem to be naturally amenable to working with humans, and the best of them have not only a competitive nature, but also a desire to please. Altogether, their speed, endurance, grace, trainability, and competitive nature allow us to enjoy the beauty and excitement of a large variety of competitive and recreational equine sports. Although we would wish upon any horse a long and happy life free from illness or accidents, the reality is that equine athletes, The injuries that result, even when not catastrophic, can limit a horse’s ability to perform at the expected level. Even when our horses avoid actual injuries, other illnesses can limit their ability to perform. 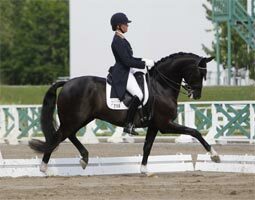 In order to compete as athletes, horses need to be sound, they need to be able to breath well, they need to have an efficiently functioning heart and vasculature, and their neurologic systems enables the horse to perform at a maximum level, and, if the horse’s performance has decreased, to determine which body system is malfunctioning. Although it is relatively easy to spot a horse that is limping badly, or coughing severely, or has advanced heart disease, identifying minor disruptions of any of these systems can be very difficult indeed! A joint injury that would never bother, for instance, a broodmare, may be significant enough to a racehorse to keep it out of the winner’s circle. Inflammation of the lower airways might not be noticed for several years in a pleasure horse, but a 10-goal polo pony might have trouble keeping up even in medium-goal polo. 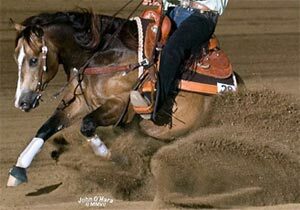 In general, even small problems can have significant effects on high performance horses. Moreover, the longer physical ailments go untreated, the greater is their potential to cause catastrophic breakdowns in the future. Is sports medicine only for elite horses? Absolutely not! 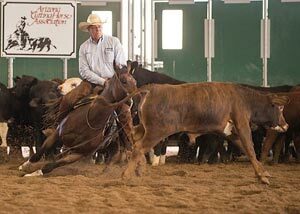 Any horse that performs with its rider or driver, be it competitively or recreationally, is an athlete. Whether poor performance means coming in 4th rather than 1st in the Derby, or whether it means having an unpleasant trail ride because your horse was coughing. Limitations to a horse’s physical ability means that the horse cannot do his job happily or well. 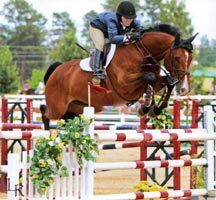 Sports medicine is the for 4-H pony, the 3-Day Event horse, the barrel racer, the cutting horse, and the multi-million dollar Grand Prix Jumper. Sports medicine is for any rider and horse team that wants to be able to exercise without pain and without limitation to the horse’s genetic potential.